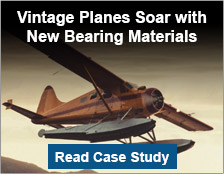 Aircraft bearings have strict requirements for quality and performance; they must tolerate massive fluctuations in temperatures, pressurized cabins, all-weather conditions and extreme loads. 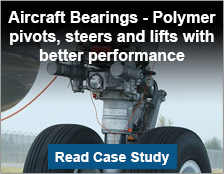 Polymer bearings are becoming the go-to material for lift, tilt and pivot points in the steering, fuselage, wings and other areas of commercial aircraft. Unlike metal bearings, they provide self-lubricating service to save on greasing and maintenance costs. 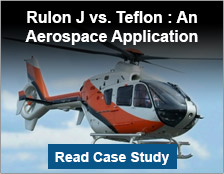 As a longtime provider of bearings for aircraft ranging from helicopters to military jets and even space components, TriStar Plastics can help you select the right bearing material to meet your specific aerospace needs. In addition, our Surface Modification division offers material treatments designed to increase the performance and reliability of a range of materials in specialized aerospace applications. We've used plasma treatments to improve the aerodynamic properties of drone aircraft wings and also to optimize the bonding of metal to rubber in the manufacture of jet engine wire clips. 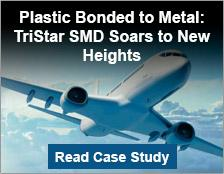 Contact us today to learn more about how TriStar can help you work through your aerospace industry challenges.